Spending money on car repairs isn’t exactly the most fun thing in the world, especially if you have to have major work done. 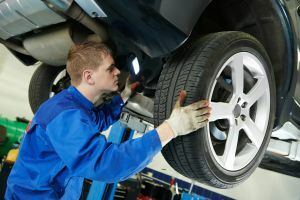 Most auto shops are going to charge similar prices for major repairs, so the key is the find a trusty shop that will get the job done right the first time at an affordable price. Below, we look at some common major car issues that we service on a regular basis. Wheel Repair – Sure, we do the minor things like rotate your tires and ensure they are properly inflated, but oftentimes your wheel well and rims can become damaged if you blow out a tire at high speeds. Straightening a bent rim isn’t too much work, but costs can rise if welding is needed. If the whole rim needs to be replaced. you’re looking at a couple hundred dollars depending on the make and model of your car. Timing Belt Troubles – The timing belt, as the name implies, synchronizes the rotation of the crankshaft and camshaft to ensure the engine’s valves open and close at the proper times. If the belt breaks or gets out of alignment, you could severely damage or destroy the engine. Timing belts are usually expected to last 100,000 miles, so we generally recommend replacing them every 60,000-80,000 miles to err on the side of caution. Unlike an oil change where you can typically go beyond 5,000 or 7,000 miles without a problem, there’s no quick or cheap fix for a broken timing belt. Catalytic Converter – Your catalytic converter is responsible for controlling your vehicle’s emissions, so you can see how it can be a major issue if your car can’t properly dispose of its waste. Oftentimes the converter doesn’t fail on its own; another smaller issue typically causes the problem, like a spark plug, fuel injector or hose leak. If unrepairable, completely replacing a damaged catalytic converter can cost over $1,000. Oxygen Sensors – O2 sensors monitor the amount of unburned oxygen in the exhaust to ensure it is at an appropriate level. If something goes wrong with your oxygen sensor, it won’t be able to regulate your emissions and could cripple your fuel efficiency. Oxygen sensor problems are not something to ignore and can lead to bigger issues if left unresolved. There are thousands of other issues that we didn’t mention above, but considering we have over 100 years of service between our skilled mechanics, odds are we’ve seen your issue before and know how to tackle it. 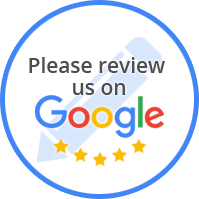 If you have any questions or would like to request a service quote, click here to contact us.